Jacob Rees-Mogg has warned Theresa May that Brexiteer MPs are preparing to vote down her withdrawal agreement. 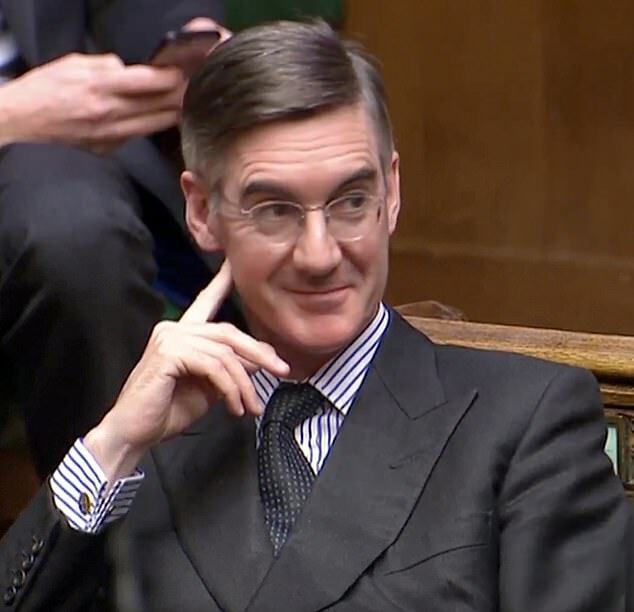 Mr Rees-Mogg said Brexiteer MPs had ‘not gone soft over Christmas’, adding that he expected more than 100 Tories to revolt against the withdrawal agreement, along with DUP MPs from Northern Ireland, the Sunday Express reported. Conservative activists are also reportedly refusing to campaign or raise funds as the Prime Minister faces further challenges to her leadership. Last week a poll of party members revealed 53 per cent supported no deal, compared to 23 per cent who backed Mrs May’s EU deal. The North-East Somerset MP added that ‘the backstop on its own is an intolerable failure of the negotiations’. But divisions are not unique to Mrs May’s party – a poll of more than 25,000 Britons found that both the Prime Minister and Jeremy Corbyn face political headaches over Brexit. The survey suggests under a quarter of voters back the Prime Minister’s Brexit plan, despite a concerted effort by Downing Street to sell the deal directly to the public in the face of opposition from MPs. 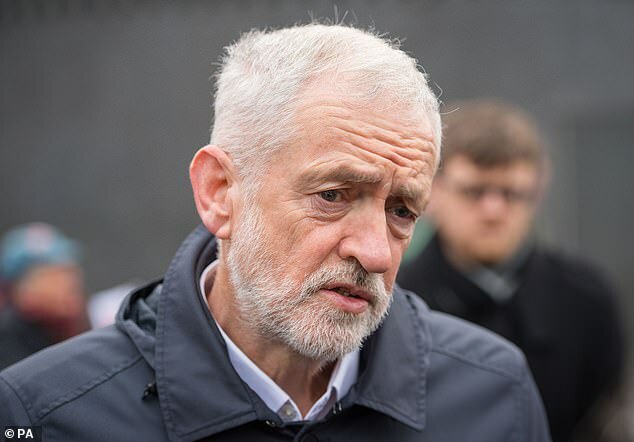 For Mr Corbyn, the poll suggests Labour would be punished by voters if his party either backs or does not oppose the Brexit deal going through the Commons. Labour MPs are expected to vote against the Prime Minister’s Withdrawal Agreement when it returns to the Commons later this month, but Mr Corbyn has said he could support a Brexit deal which guarantees a customs union, support for workers’ rights and environmental protections. The YouGov poll, carried out for the People’s Vote campaign for a second referendum, suggested just 22% of all Britons back Mrs May’s deal, rising to 28% among Leave voters. The role played by Labour over the coming weeks could be crucial in shaping the outcome of Brexit, with Mrs May hoping some of the party’s MPs could be tempted to back her Withdrawal Agreement to avoid the risk of a no-deal exit. The poll puts the Tories on 40%, Labour on 34% and the Liberal Democrats on 10%. But it indicates Labour’s share of the vote would slump another eight points – to 26% – and 16 points behind the Conservatives if its MPs join with the Tories in support of a Brexit deal. This would be even worse than the 28% share secured by Labour under Michael Foot when the party slumped to defeat against Margaret Thatcher’s Tories in 1983.